The provision of intelligently networked charging facilities, and convenient access to them, plays a key role in the e-mobility initiative of Mercedes-Benz Cars and is an elementary component of the corporate strategy for the mobility of the future, which Daimler has formulated under the acronym "CASE". The four letters stand for the strategic future pillars of networking (Connected), autonomous driving (Autonomous), flexible use (Shared & Services) and electric drive systems (Electric), which are being systematically further developed and intelligently combined by the company. For private customers, Mercedes-Benz offers charging solutions for the home and in public places. However where the electrification of fleets is concerned, an integrated charging infrastructure is also of enormous importance for companies with their wide-ranging mobility requirements. In order to offer commercial customers the most convenient and least complicated all-in charging infrastructure possible – on a brand-neutral basis, which is particularly relevant to mixed fleet - Daimler AG is cooperating with NewMotion B.V., one of Europe's leading providers of charging solutions. This Dutch company has been developing intelligent solutions for the expansion of the charging infrastructure since 2009. The cooperation has started by enabling Mercedes-Benz Cars Sales Germany and Athlon to make an integrated all-in solution from a single source available to fleet customers. This comprehensive, modular package offers tailor-made solutions for all charging requirements. On request, customers will receive a comprehensive range of services relating to vehicle charging, from advice and installation to operation of the charging points. These include charging stations at business locations, home charging stations for employees and access to public charging points. Using the NewMotion charging card, employees are able to carry out and pay for charging operations at public charging points in the European network of NewMotion and 200 roaming partners. The charging card is also used for access to charging stations at the workplace and at home. The NewMotion app also enables employees to find charging stations and view their billing details. 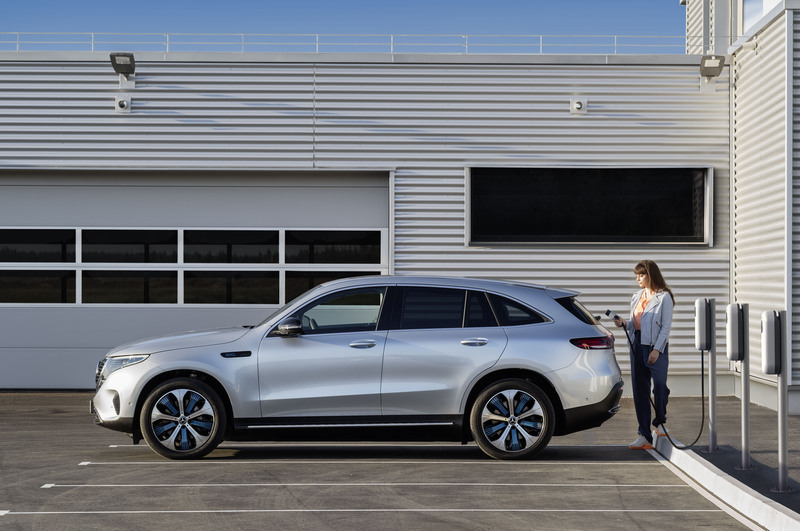 Frank Kemmerer, Head of Fleet Management Mercedes-Benz Cars and smart at Mercedes-Benz Cars Sales Germany: "This year the EQC will come onto the roads as the first purely electric Mercedes. We are thinking beyond the vehicle itself, and offering our fleet customers innovative charging solutions as well, thanks to our cooperation with NewMotion." Sytse Zuidema, CEO of NewMotion: "NewMotion’s smart charging solutions make charging readily available for EV drivers at home, at work and on the go, helping individuals and companies to switch to clean transportation. We are proud to be part of this partnership with Daimler and together power the e-mobility movement and electrify fleets while providing the best possible charging experience for fleet customers." Dr. Frank Spennemann, Head of Fleet Charging Solutions for Cars at Daimler AG: "Our aim is to support e-mobility with the best charging solutions. Together with NewMotion, we have an outstanding package to offer the fleet customers of Mercedes-Benz Germany and Athlon, and have shown that we take a comprehensive approach to e-mobility." Athlon has already taken NewMotion charging points into operation at the Düsseldorf location, so as to make the switch to electric vehicles more attractive for employees while gaining experience in giving customers the best possible advice. André Girnus, General Manager of Athlon Germany: "Everybody is talking about e-mobility. To make e-mobility attractive for fleets as well, we are now able to offer customers solutions from a single source – and on a cross-brand basis. This comprehensive approach is important to make it as easy as possible for our customers to switch over to electric cars."